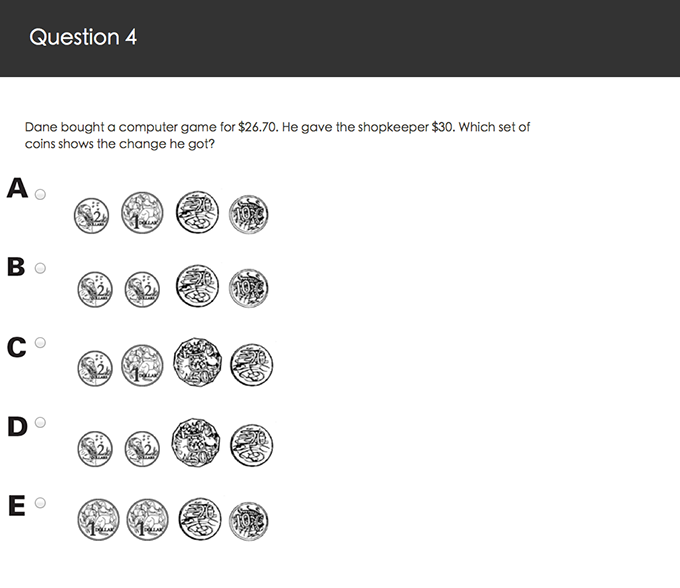 PAT Maths descriptor: Use coins to show change from $30.00. PAT Teaching Resources Centre © Australian Council for Educational Research 2019. This product may be reproduced only in quantities sufficient for the purchaser's own proper use and not for resale to, or use by, any other person or organisation.